Exercise during pregnancy is important and has many health benefits. Many stresses occur in your body as a result of hormonal and postural changes. Antenatal Pilates focus’ on breathing, gentle stretching and strengthening your deep abdominal, back, arm and pelvic floor muscles. 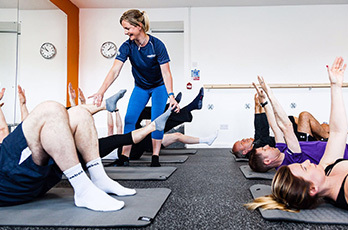 The exercises promote relaxation whilst the postural awareness, improved spinal stability and stronger pelvic floor can help reduce pain and discomfort. Regular pilates during pregnancy can contribute towards an easier pregnancy, delivery and recovery. If you have not practised pilates before it is best waiting until after the 12 week scan before starting. Please use the contact us section if you are unsure about your eligibility to join us before 12 weeks. Classes last for 1 hour and run in a block of 6 costing £48 per block. Classes are booked in 6 week blocks to ensure you see results. An assessment form must be completed prior to commencing the course. This will ensure the instructor is fully aware of all aspects of your pregnancy and ensure the safety of you and your bump in the class. In some instances, for example, a mum-to-be who is experiencing severe back or pelvic pain, a one to one assessment may be required. 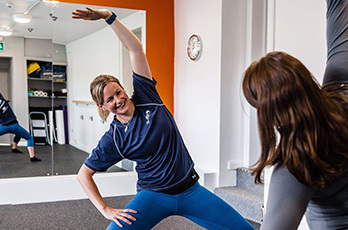 This assessment will help the instructor learn more about you and your pain and provide specific one to one exercises and advice before commencing the classes. The one to one assessment is charged at £48 and can be completed in your home. Most ladies will not need the extra assessment.